The individual can easily be forgotten, but Davey Law always made sure that our son’s needs were at the forefront…they continue to show their caring and compassionate nature in enquiring after our son’s wellbeing. We feel very content and grateful to have had the services of Davey Law and would recommend them. A head injury can have a life-changing impact on an injured person, their family and friends. We understand how head injuries affect you, your work and your relationships. Serious injury claims require serious injury experts. First of all Davey Law are experts in bringing brain and head injury claims. We provide the highest quality service and consequently deliver the best results for our clients. Our experts have won tens of millions of pounds in compensation for our clients. In addition, if it is right for you, we will work for you on a no win, no fee basis. Finally, when you get in touch you won’t speak to a call centre. Your enquiry will be dealt with by one of our experts. Our team has more than 100 years of personal and professional experience dealing with victims of head and brain injury. We are happy to arrange home or hospital visits to ensure early legal support. Head and brain injury claims take a long time. It is important that you feel that you can talk to your solicitor. 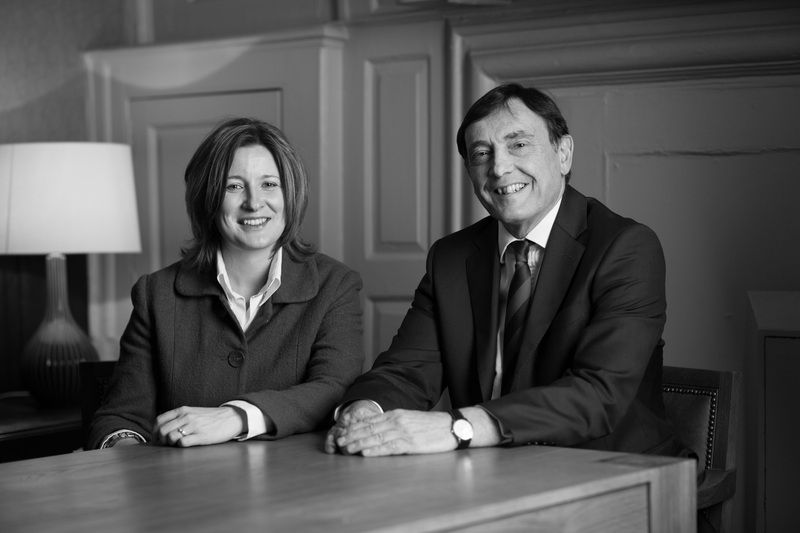 Our experts, Peter Davies, Isobel Addison and Julie Long work with barristers, QCs (Queen’s Counsel) and expert witnesses to secure the best outcome for you. Davey Law are included in the brain injury association Headway’s list of solicitors experienced in head injuries. We are proud to work with our local Headway branch in Gloucester. In addition, we are members of the Brain Injury Group. Furthermore we are members of the Law Society’s Personal Injury Panel and the Association of Personal Injury Lawyers (APIL). Compensation cannot fix everything but it can help victims of accidents and their families to rebuild their lives. As a claim proceeds we often secure interim payments. These can help with care, aids, equipment, therapies and visits by loved ones, which can be an invaluable part of the rehabilitation process. We know that it can seem like you are alone when you are making a claim. With us, the opposite is true, because we are right by your side. For a free, no obligation assessment of your claim contact our team of experts. If you are thinking about bringing a claim. If you feel let down and would like to talk about changing solicitors. Or maybe just want to know how our injury experts can help, just fill out the enquiry form or call us on 01285 654875. If you have sustained a personal injury that was someone else’s fault, you should always seek the advice of experts who will assess your case on its merits. You will be compensated for losses that arise from the injury in addition to the pain and suffering caused by the injury. As a guide you could expect to receive the following amount for the injury itself. John, a motorcyclist who crashed into a van that pulled out in front of him, has been awarded more than £9.5 million in compensation. John’s motorcycle hit the van with huge force, leaving him with serious brain damage and other injuries. John now has to use a wheelchair and suffers from speech impairment, meaning that he needs constant care. John’s compensation will help to buy a home that is specially designed to cater for his needs and employ a team of carers around the clock. John’s Litigation Friend said “in a case of this nature, the individual can easily be forgotten, but Davey Law always made sure that our son’s needs were at the forefront and even though we have reached a settlement they continue to show their caring and compassionate nature in enquiring after our son’s wellbeing. Davey Law continue to support John and his family in managing the compensation payment through the Court of Protection. Ivan was awarded £2.9 million gross which he is now using to rebuild his life with the help and support of his financial deputies at Davey Law. Despite Sarah being primarily responsible for her accident Davey Law believed that Sarah was not entirely to blame. After a long battle the severity of her injuries was such that Sarah was awarded £1.5 million in compensation. Sarah will need to make this comparatively small award work very hard to sustain her in the long-term and Davey Law continue to assist Sarah with managing her compensation to maximise her return to facilitate her rehabilitation. Peter Davies has practiced in this very specialised field for over 30 years. Isobel Addison has been in practice for over 20 years and has first hand experience of living with a family member after a head injury. We are happy to arrange home or hospital visitsand in most cases will be able to pursue your compensation claim on a no win, no fee basis. Our team has decades of personal and professional experience of head and brain injury matters. We are actively involved in the Brain Injury Group, which supports victims of team and brain injury and the Gloucester Headway branch. We have close links with the local brain injury teams at our local hospitals.